NSS and NCC units of BBK DAV College for Women organised a one day Seminar On Traffic Rules Awareness under instructions from Shri S.S. Srivastava (IPS, Commissioner of Police, Amritsar), Inspector Paramjit Singh and ASI Kanwaljit Singh educated students about traffic rules about Over speeding, Triple driving, Rash driving, Wrong side driving, Red light jumping and use of phone while driving, through road safety videos. They were also educated about various ways to avert accidents. Head Constable Sukhjinder Kaur and Head Constable Satinder Kaur from Unarmed Cell for Women talked about Shakti App for women safety. Once triggered, the app would automatically send a message to the nearest police control room and will start recording audio, video and location after 20 seconds. Practical training was also given to girls on self-defence by demonstrating some easy moves using only bare hands. Women helpline number 1091 was also given to students to be used in case of any emergency. 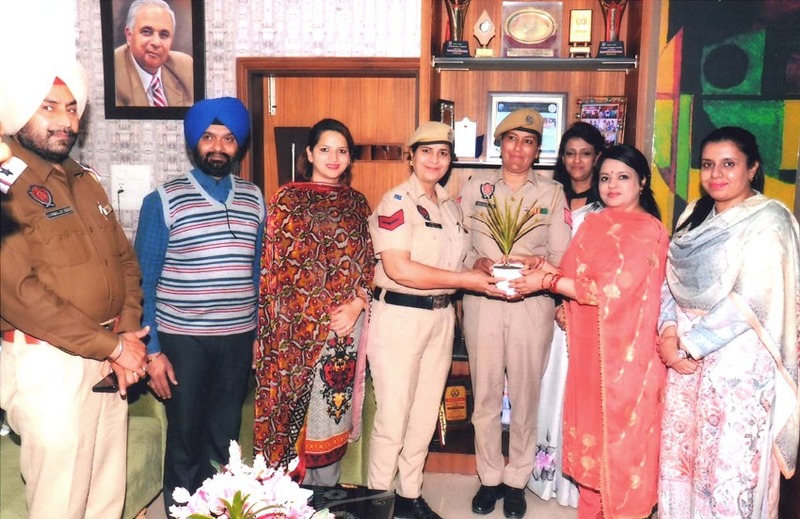 Principal Dr. Pushpinder Walia appreciated the efforts of traffic police to spread awareness about traffic rules amongst students and appealed to them to abide by road safety and traffic rules. 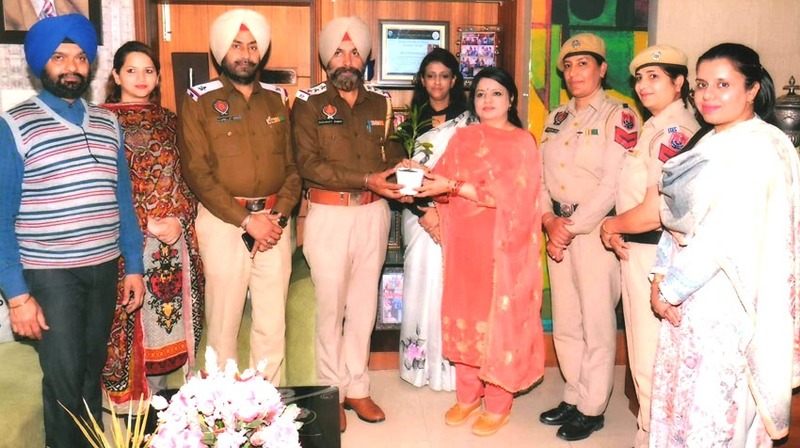 The programme was carried out under the able guidance of S. Dilbag Singh (ADCP Traffic) and S. Gurmeet Singh (ACP Traffic). NCC Head, Dr. Aditi Jain and NSS Programme Officer, Mrs. Surbhi Sethi and Mrs. Priya Sharma were also present on the occasion.